It’s finally spring in New England! This weekend was beautiful. The windows were open in all the restaurants and we just sat at a table and enjoyed the people-watching in the city on Saturday. Sunday was just as nice and spent the afternoon at my parents’, sharing lobsters (on sale!) and fresh corn. Is there a better warm-weather meal? Maybe, if we added a strawberry-rhubarb crisp for dessert… Hopefully the upcoming long weekend will be much of the same activities! So, I’ve had oatmeal cookies on the brain lately. I haven’t made them in forever and I’ve had a tub of oats sitting in my cabinet for just as long. Tyler isn’t the biggest fan of oatmeal raisin, so I knew I had to make chocolate chip oatmeal, but I also wanted the classic raisin. Somehow I wanted to work in brown butter (my most favorite flavor of all time), too. I search recipes for a while, comparing ingredients and ratios. 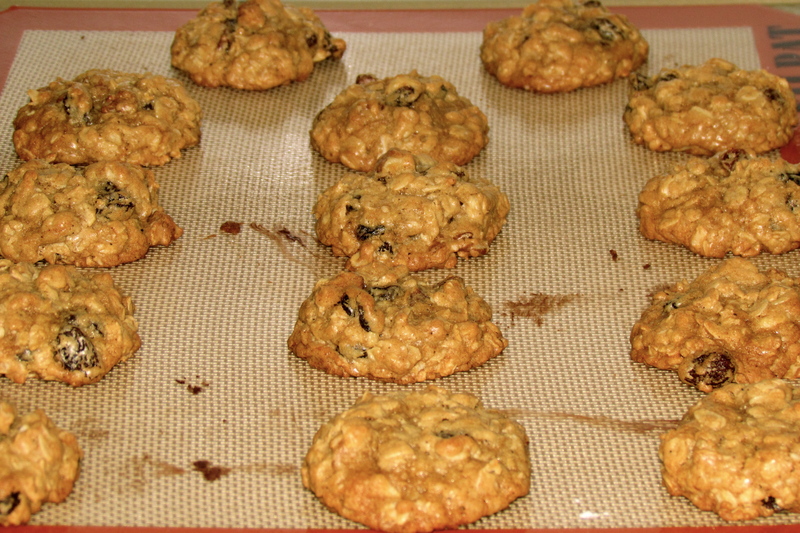 In the end, I decided to go with one of my favorites: Smitten Kitchen’s Thick, Chewy, Oatmeal Raisin Cookies. I had to make some adjustments so that I could incorporate the brown butter. This recipe is super easy and quick. Deb’s recipe is basically half of a recipe. I doubled her instructions and made half with raisins and walnuts and half with dark chocolate chips. I also browned 1 stick of butter and incorporated it after I mixed together the other stick of butter, brown sugar, eggs, and vanilla. 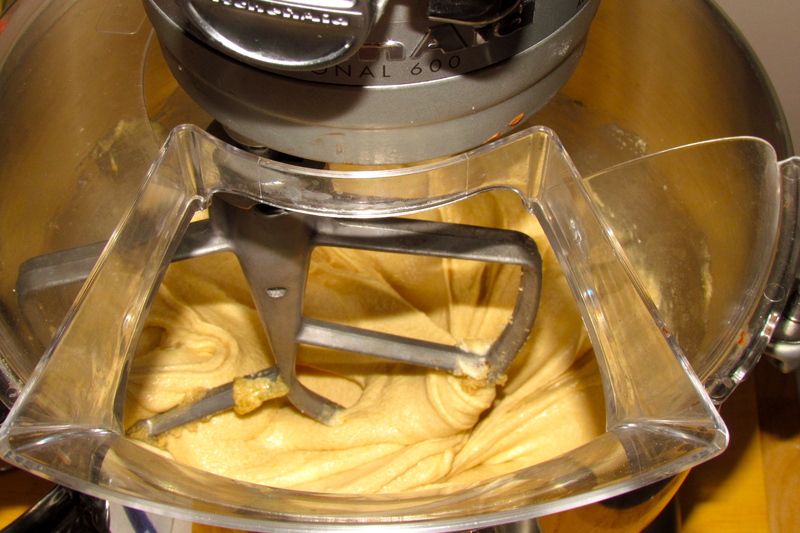 With the dry ingredients, I added a couple dashes of nutmeg…because I love nutmeg. Once everything is combined, it will be very sticky so I definitely recommend refrigerating the batter for at least 30 minutes. Doubling Deb’s recipe made about 36 cookies. One thing I can’t explain, and hopefully someone out there can, is that the chocolate chip cookies flattened while the raisin/walnut stayed more round. They were both still chewy on the inside, crispy on the outside, and delicious. These should definitely be enjoyed right out of the oven. If you can resist, they’re still pretty amazing next day. I brought them to work and they didn’t last an hour. Any ideas for Memorial Day baking? 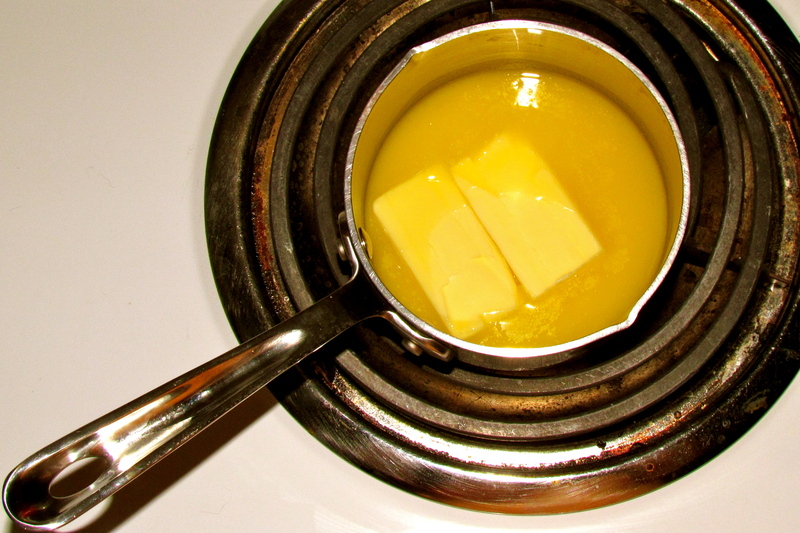 In a small saucepan, heat 1 stick of butter on medium-high heat until it bubbles and then begins to turn brown. Occasionally use a rubber spatula to scrape the bottom of the pan to free the brown bits of butter. Remove from heat and pour into a heat-proof bowl to cool. In a large bowl, cream together the other stick of butter butter and brown sugar. Scrape down the sides and add the eggs and vanilla until smooth (I whipped for a while, it took the brown butter longer to cool than I planned). In a separate bowl, whisk the flour, baking soda, cinnamon, nutmeg, and salt together. Stir this into the butter/sugar mixture. Stir in the oats. I split the batter in half at this point, but one half in the bowl that held the dry ingredients and added the chocolate chips to one, and the raisins/walnuts to the other. I covered both bowls with plastic wrap and put in the oven for 30 minutes. 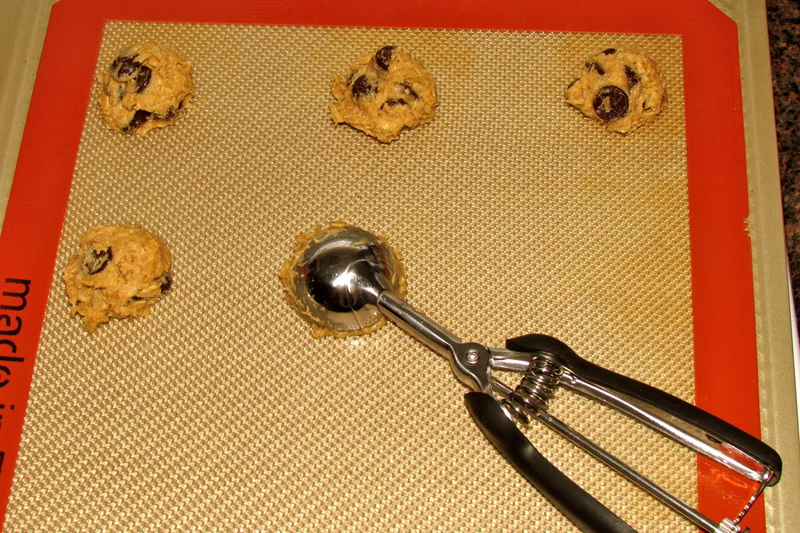 Once you’re ready to bake, heat oven to 350°F before you scoop the cookies. 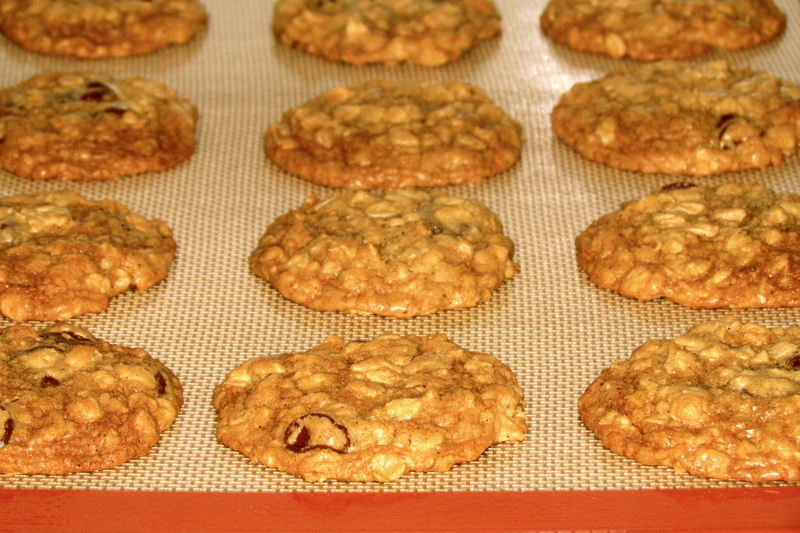 Line a baking sheet with parchment paper (I also have Silpat liners) and place cookies 2″ apart. Bake them for 10 to 12 minutes (I baked for 7 minutes and the turned my cookie sheets in the oven, and cooked for another 5 – my cookies were pretty cold when they went in), taking them out when golden at the edges but still a little undercooked-looking on top. Let them sit on the hot baking sheet for five minutes before transferring them to a rack to cool (or, you know, you could eat them immediately). Bachelorette Mint & White Cake Pops!